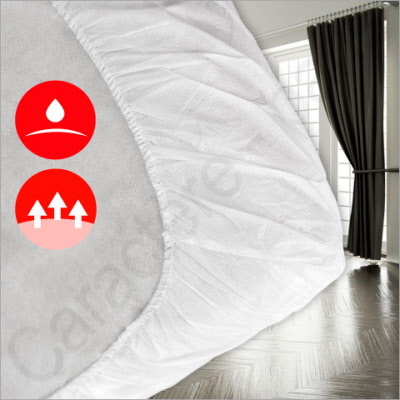 Waterproof mattress protector - Fitted - single bed (90 cm) to Californian King bed (210 cm). The SWEET NIGHT mattress protector lets your guest sleep without noise. Resulting in both protection of the mattress and decrease in noise. The result is protection of the mattress as well as better silent noise sleeping for your guests. Everyone will be happier with this new product from Caractère Hostellerie. all the special details that Caractère Hostellerie provides is still there such as contour fitting. Caractere Hostellerie well known through western Europe introduces this new product in 11 formats (choose the adequate ones in the right box). New material soft and very resistant. Once you have used them you can throw them away. Ever Clean they are packed in individual packaging. Perfect for B&B, unexpected friends at home, travelling.... This mattress protector is waterproof. The film is melded to the fabric to protect against spillage and create a waterproof protection. For your own preference, we also have a non-waterproof sheets in these same dimensions. These protectors fit the mattress see diagram for a more economical solution choose the Pad Waterproof Mattress Protector. 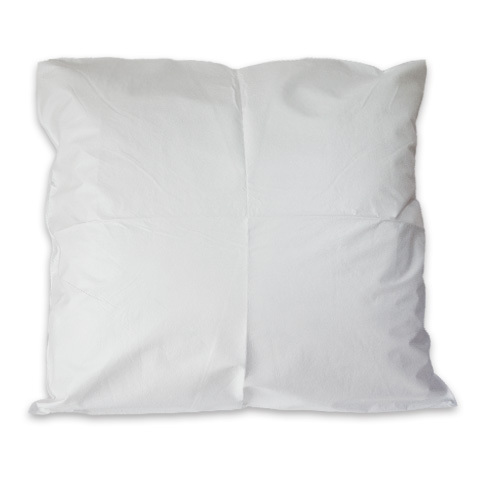 Fitted sheets are neater than flat sheets and stop all those "puckers" when you move around during the night. If you don't need waterproof coverage please go to Fitted sheet. Anti allergical material: Effective at preventing bacteria and dust mites from breeding in your mattress.